Lexington Houses Blog: Create Beautiful Outdoor Living Space for your Lexington MA Home! 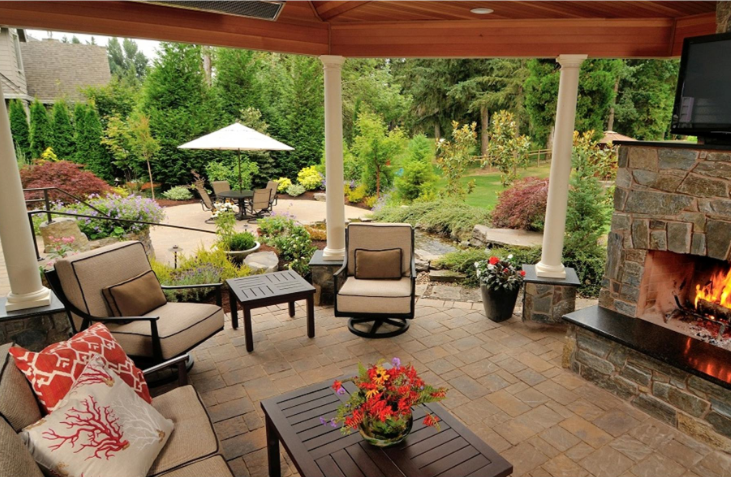 Create Beautiful Outdoor Living Space for your Lexington MA Home! It’s a beautiful time of year in Lexington and many of us are taking advantage of the warmer weather to be outdoors. Whether you plan on heading to the park, strolling along our charming historic streets, or are planning to cook out with friends; it’s time to take advantage of outdoor living! As a Lexington Real Estate agent, I enjoy not only providing you with buying or selling tips, but ways in which you can enjoy your Lexington home to the fullest. Today I wanted to take time to focus on your outdoor living space and what you can do to make it a welcome retreat for your Lexington home! You’ll enjoy hosting family and friends in your beautiful outdoor living space! Or you may even just enjoy the beauty of solitude as you soak in the quiet and serenity of your own backyard. If you have questions about what it’s like to live in Lexington because you’re considering a move to the area, or you’re interested in buying a new home in Lexington and want to learn more about the current Lexington Real Estate market; please feel free to contact me today!